In my previous post I talked a lot about the Wednesday night through Thursday storm that will be affecting the Midwest. The new morning computer model runs are in and I thought we’d take a little closer look at the snow potential from the storm. I am still not convinced this is going to produce much snow for St. Louis and Indianapolis (and further south). In fact, I am not sure we will get more than a few snowflakes in the St. Louis metro, although the further north from St. Louis the better chance more snow will fall. With Indianapolis there could be a little more. First, here is the snow output from NOAA’s North American Mesoscale Model, the NAM. This shows snowfall through 84 hours, or 6pm CT Friday. 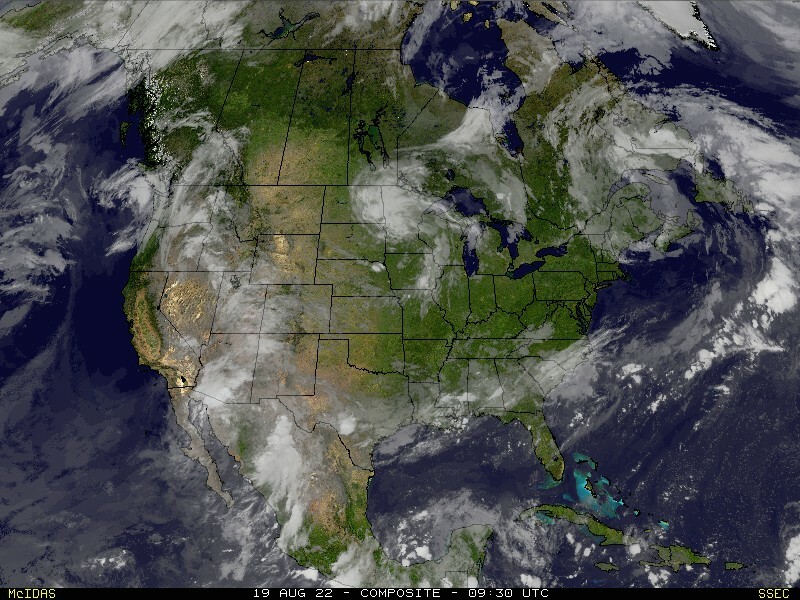 Second, here is the snow output from NOAA's global forecast model, the GFS. This shows snowfall through 120 hours, or 6am CT Saturday. It should look obvious that one model is higher resolution (NAM) over the other (GFS). The NAM tries to put more details in the image. The take-aways for me is the both models keep the bulk of the snow over the northern half of Indiana and the GFS is a little more bullish with snow totals. 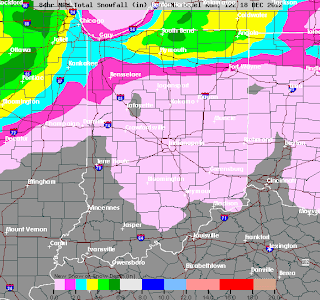 Generally speaking, it has 0"-2" of snow across central Indiana. Let’s take a look at specifically what each model is suggesting. The NAM and RPM models are higher resolution. The RPM looks out through only through 6am CT Friday. The NAM starts the changeover from rain to all snow by evening Thursday. The GFS has the rain over to all snow by 1am ET. 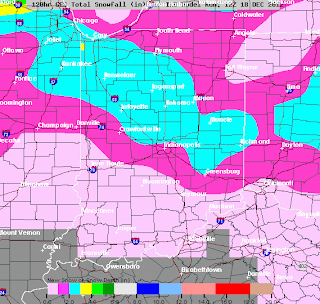 Other snow amounts from other locations in Indiana. I looked at numbers for St. Louis and they are all 0.0”.